Yap is the latest addition to CFH Systems' new Singapore office, who joins as its senior institutional sales hire. CFH Systems has continued strengthening its personnel in Asia, this time installing Alex Yap in a senior institutional sales role. In this capacity he will be based out of CFH Systems’ recently launched Singapore office, with responsibility for all sales operations across Asia. The group launched a Singapore office back in September, which tapped Alex Mackinnon as its Head of Asia. Just a few months later, the office is again bringing in senior hires, with Mr. Yap reporting directly to Mr. Mackinnon. He will be working closely with CFH Systems’ teams in both Hong Kong and Tokyo as well. “We appointed Alex because of his outstanding reputation, his industry knowledge and wealth of experience within the FX sector. He has a proven track record in B2B trading technology and liquidity sales and we are thrilled that he has joined the team,” explained Mr. Mackinnon. Mr. Yap joins CFH Systems with over two decades of experience in both the banking and financial services space. His career has focused mainly on several different areas, including foreign exchange, precious metals, and technology, among others. 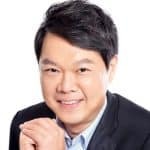 He joins CFH Systems from Maybank Kim Eng, having worked as its Senior Vice President and Regional Head of Leveraged FX. Additional roles also include a two-year stint as the Senior VP at G.K. Goh Financial Services, having successfully steered the group’s revenues and profitability via an expansion into China and Hong Kong. Mr. Yap is an expert on the region, and his knowledge and experience in Asia will be a tremendous asset in his new role at CFH Systems.